It hurts to feel misunderstood! It hurts to feel abandoned by those you thought were your friends! It hurts when it seems your obedience to the Lord doesn't appear to mean much to those you thought would understand the most! I am trying to take comfort in the fact that Jesus' friends abandoned Him, too! Not sure why, if that was the case, that I should be surprised that some of ours did the same thing! I must now tend my heart carefully and diligently, though, lest any roots of bitterness begin to sprout! I know I am responsible for my attitude before the Lord and so I lay my hurt at His feet and give Him access to tenderly pull up anything He sees that has the potential to choke out the fruit that is growing on the vine! 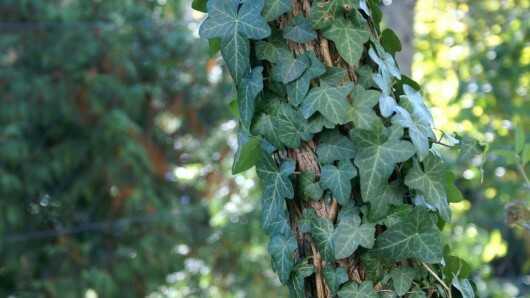 Just like that wild ivy that rode unnoticed into my garden attached to a chosen plant, so those seeds of unforgiveness can sneak in and mask the beauty if left unchecked! So sorry for your hurt. (((Barb))) I understand.